I am an Art Director/Designer with a passion for making things. 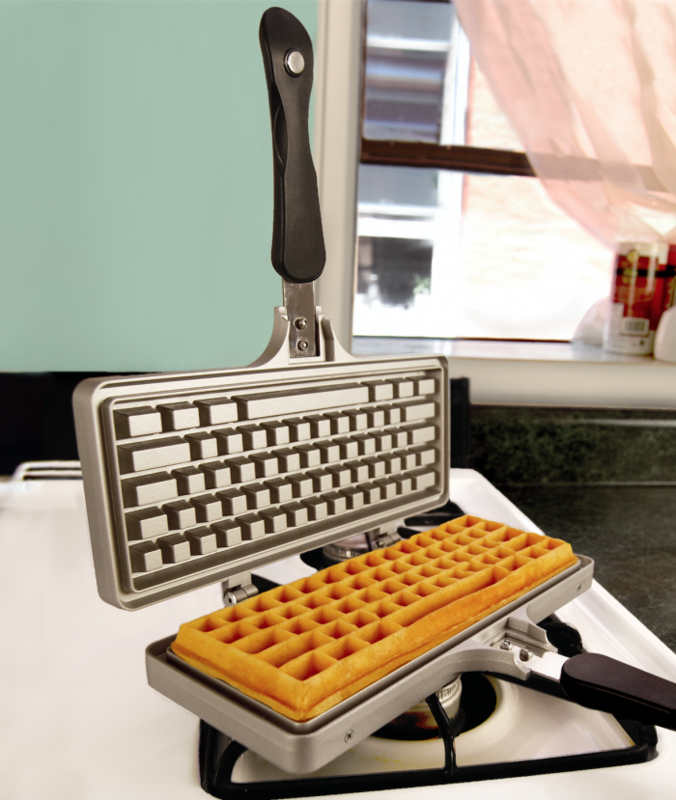 My first product is The Keyboard Waffle Iron® and I plan to expand on this with more products that enable creativity and promote having fun with the otherwise mundane. A fond memory from the holidays goes way back to when I got the original Game Boy, than watching Home Alone and eating too many cookies… not much has changed since. My product makes the perfect Holiday gift because everyone knows someone who is really into food and/or tech… and that person has never seen anything like this. Anyone that appreciates the fun and creativity that this concept offers… also someone that enjoys a good waffle. I’ve found that it’s great for people who can cook as well as those less skilled in the kitchen (like myself) as it inspires experimentation and trying out recipes.